Everyday is unique with Ride Slovenia, where our destination is a new valley and mountains. The morning usually starts with a shuttle to get us higher into the mountains, from there we access singletrack for the rest of day. Either by using more shuttles, ski lifts or climbing depending on our location on the day. Daily Flights to Ljubljana from London Stansted, Luton and Gatwick with Easyjet and Wizzair. Eurowings fly Manchester to Klagenfurt. Lots of flights from other major European airports. Search Skyscanner.net for good deals from other airlines. It's also possible to drive, we are not as far as you might think. Only 20km from the Austrian border with good motorway connections from Italy and Austria. Our location is perfect for accessing some of the finest and most remote trails in Slovenia. We cover everything from the longest flow trail in Europe to some of the most technical trails we can find anywhere. It's possible to do 12,000m of descent in just one day! All of this on the 'Sunny side of the Alps'. Our large comfy chalet is located in a traditional Slovenian Alpine Village. Designed especially for bikers - It is a perfect place to chill after a day on the bike. We do our best to look after you with tasty homemade meals included with all our packages. We are only a one hour drive from the Capital Ljubljana. Daily, Long weekend and weekly packages! Awesome riding, so varied from very technical through to fast loamy trails. Jon is an amazing guide and host and knows all the local spots. Having ridden in the French Alps and Southern Spain can honestly say that I enjoyed the Slovenian trails the most. Wow, what a week! Have been on loads of mountain biking holidays in the French Alps, Pyrenees, Sierra Nevada, Dolomites, etc over the last 15 years. but a week with Jon and the guys at Ride Slovenia last week has blown me away. Just got back to Finland from Alps to Sea Tour with Ride Slovenia. I had such an amazing week - seven days of fun and exciting trails, lovely scenery at the mountains, delicious food... I will definitely return one day to sunny Slovenia! Just had the best week on a bike ever thanks to Ride Slovenia. Slovenia has some very technical and steep trails that serious mountain bike riders will love, I truly have fallen for this place. Epic riding, fantastic guiding, great accommodation and food. 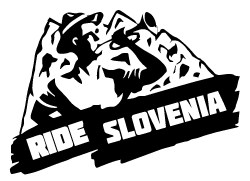 Ride Slovenia is a must for any serious mountain biker! Perfect facilities, the guys are fantastic, very well organised, the riding is out of this world. I cannot recommend this place enough..